Photo: Nigerian drug peddler nabbed with heroin, cocaine and 'Ice" in India - SWANKYLOADED OFFICIAL BLOG. The Samrala police on Monday, September 3, arrested a Nigerian inter-state drug supplier and recovered 2 kg of heroin, 15 gm of cocaine and 18 gm of “Ice” drug from his possession. The accused identified as Emeka Ekechi Okalia, resides at Ramapark Gali No. 2, House No. 59, New Delhi. Khanna SSP Dhruv Dahiya said a police party stopped a person who was coming from Neelon bus stand side on foot, at Neelon Bridge. The police recovered two purses from his bag. One of the purse contained a packet of 2-kg heroin while the other had 15-gm cocaine and 18-gm “Ice” drug. A case under Section 21/61/85 of the NDPS Act was registered against him and he was arrested on the spot. The SSP said the Nigerian national had brought this consignment from Delhi. He said smugglers were now taking alternative routes to escape the police. According to preliminary investigation, the accused had come to Delhi in 2008 and had stayed there till 2016. He went to Nigeria in 2016 and again came back to Delhi in 2016. 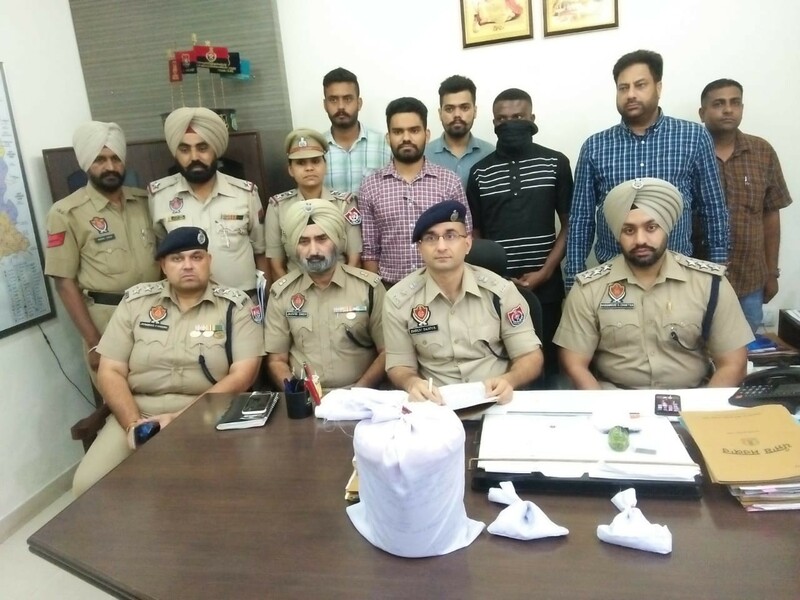 The SSP admitted that there were supply routes and chains of drug suppliers in the state and the police were trying to break them by arresting major suppliers. Emeka is the fifth Nigerian national arrested by the Khanna police in the past one year and the second in the last three days.